I firmly believe that all arts classrooms should have an arts advocacy board. The arts are tremendously valuable on many different levels, and whether we like it or not, we have to advocate for their continued support in our schools. I believe that any classroom that values and uses the arts should also have an arts advocacy board. Elliot Eisner wrote that the position of the arts in the curriculum within a school communicates to students what the adults value and believe is important. 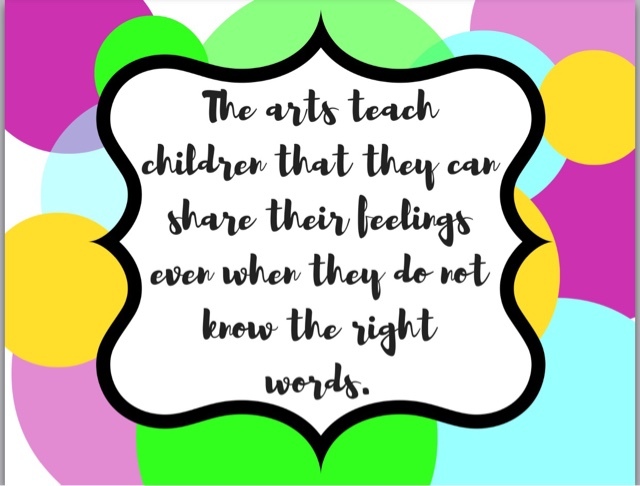 I'd go one step further to even say that the level of visibility and emphasis placed on the arts within schools and classrooms communicates what the adults think is important. The arts must be visible. Advocacy boards are one way to produce this visibility. If the adults in a school value creativity, individuality, and innovation; then the arts must be visible and emphasized. I've tried several different types of advocacy boards. Once I had a bulletin board outside my classroom decked out with many quotes about the arts. Looking back, there were entirely too many quotes. I've also tried just posting articles and things on a bulletin board inside my classroom. It was cute, but no one ever took the time to read the articles. So, I reflected on what I really wanted out of my advocacy board. I decided I wanted it to be just enough information to capture the attention of my students, but not enough text to be overwhelming. I wanted it to be attractive enough to catch the eye of visitors. I also wanted it to be something I could use as a teaching tool. I came up with six ideas about what the arts teach children and created mini-posters for my classroom. I've elected to post them to my Teachers Pay Teachers account since I've recently decided to try out that site. So, for $3.50 you can purchase my set of six advocacy posters if you don't have time to make your own. The arts teach children to make good judgments. The arts teach children that the limits of their language do not define the limits of their cognition. 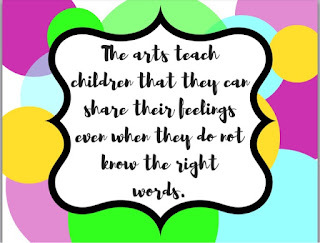 The arts teach children to be confident and proud of themselves. Here's the link to my TpT site again. What sayings would you add to advocacy posters?